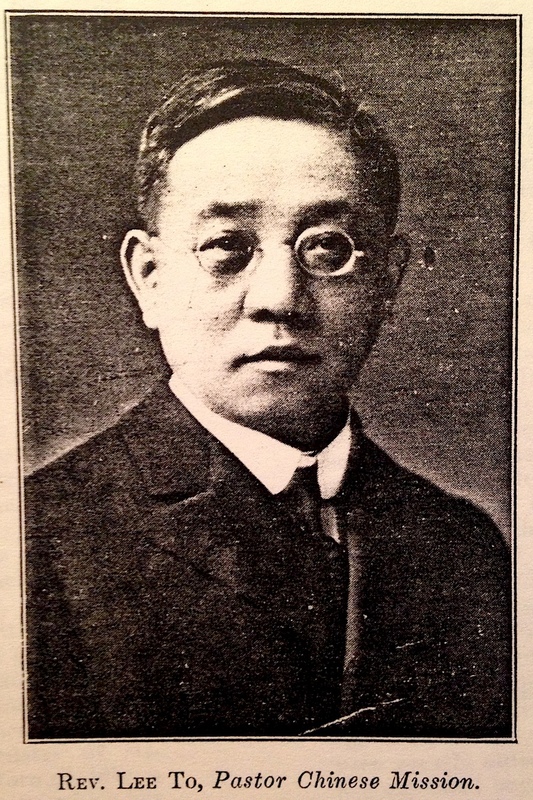 From Chinese Students Monthly (ca 1915). Like many Asian Americans who came of age in the early and middle decades of the Twentieth Century, Mabel Lee’s relative fame or notoriety vanished during the 1950s. By then, many Americans believed the assimilation of immigrants was inevitable and that the integration of African Americans was the final step towards a non-racial society. Consequently, it was no longer acceptable to recognize or emphasize racial or ethnic differences among Americans of foreign descent (despite the realization that cultural differences among nations were to be respected and honored). As the de facto minister of what is now the First Chinese Baptist Church of New York between 1925 and 1966, Mabel Lee (1896-1966) secured a relatively comfortable niche in turbulent times. The decline of the woman’s missionary movement and the Social Gospel, the Great Depression, the Sino-Japanese conflict, World War II, the Chinese Civil War, and the Cold War all challenged the faith that she was nurtured in. Yet, in contrast to Margaret Chung, who left the church and pursued a non-religious life, Mabel Lee dedicated her life to her congregation and community service center in New York’s Chinatown. She was also unusual because she earned a Ph.D., something that was quite rare among Chinese American women. Finally, even though she shared her father’s evangelicalism, she was nurtured by the progressivism of the social gospel. As a result, she never connected with the wave of Chinese fundamentalists and evangelicals who came to dominate the Chinese church since the 1960s. A short article about her can be found in The Westminster Handbook to Women in American Religious History edited by Susan Hill Lindley and Eleanor J. Stebner (Westminster/John Knox, 2008), page 130. It references my chapter, “Chinese Protestant Nationalism in the United States, 1880-1927,” New Spiritual Homes: Religion and Asian Americans, edited by David Yoo (University of Hawaii Press, 1999) and the paper that I presented. Unfortunately, it incorrectly identified her birth year as 1893 instead of 1896 because of a typo in my paper. A young Mabel Lee, suffragist. At Barnard College (1914?). Courtesy of American Baptist Historical Society. Born in Canton in 1896, Mabel accompanied her father to the United States and studied in American public schools. She enrolled in Barnard College and graduated in 1916. She then earned a Ph.D. in economics from Columbia University in 1921. Her dissertation was published later that year. 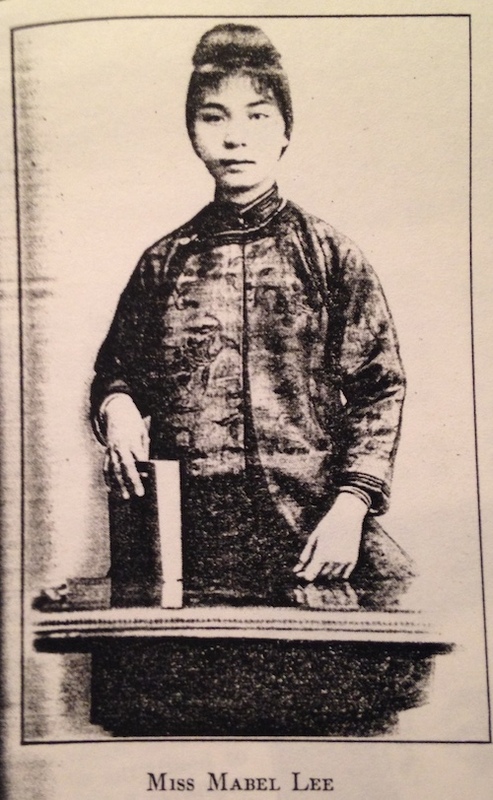 In addition to her father’s evangelical piety, she also shared his zeal to engage the social problems of the Chinese community in New York and overseas. 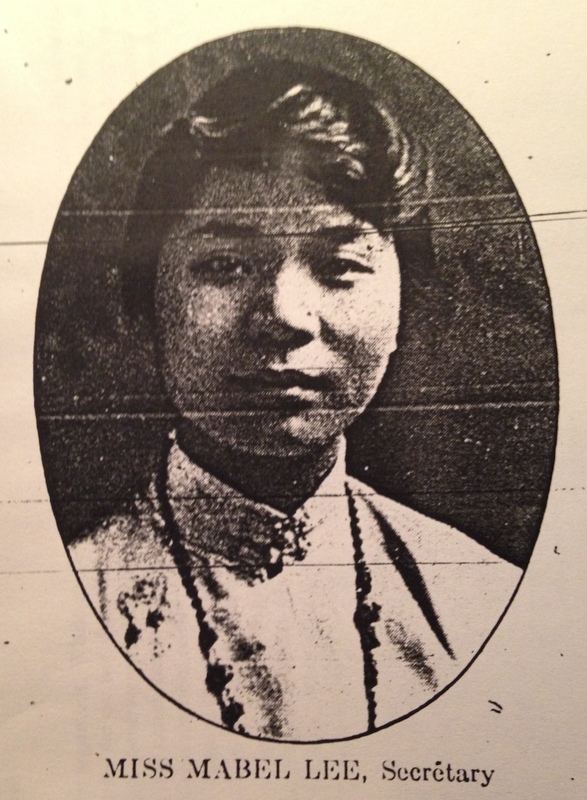 During her college years, she integrated her devotion to faith, the reconstruction of China, and woman’s suffrage. I’ve excerpted a couple of quotes from her speech “China’s Submerged Half” (1915?) and article in The Chinese Students Monthly (May 1914) entitled “The Meaning of Woman Suffrage.” The entire speech and article can be downloaded by clicking the links below. Our [Chinese] statesmen for century back have felt the need for female education and must have wished for it. But what was the good of their mere wishing? The missionaries came in their turn. They not only wished and prayed, but they labored. And it is largely due to their untiring efforts in the face of obstacles well-nigh insurmountable, that the present interest in women’s education owes its existence. Now it is our turn. What are we going to do in answer to the call of duty? In furtherance of such a cause we students should take a leading part. To us girls especially, who are among the first to emerge, will fall the duties of pioneers and, if we do our share, ours will be the honor and the glory. The welfare of China and possibly its very existence as an independent nation depends on rendering tardy justice to its womankind. For no nation can ever make real and lasting progress in civilization unless its women are following close to its men if not actually abreast with them. [Woman suffrage] is nothing more than a wider application of our ideas of justice and equality. We all believe in the idea of democracy; woman suffrage or the feminist movement (of which woman suffrage is a fourth part) is the application of democracy to women. On March 28, 1923, Miss Lee sailed for France where she is now engaged in the study of European Economics, in fuller preparation for her life work, in her native land, China. A position of great trust and signal honor awaits her arrival in China. As a feminist and suffragist, Dr. Lee was less interested in charting a career within the women’s missionary and social reform organizations. But in November the following year, Rev. Lee To died while negotiating peace between antagonist Chinatown tongs. Mabel Lee then returned to New York City to tend to her mother and assume responsibility for the mission. Her hopes for a temporary situation faded as conditions in China worsened. 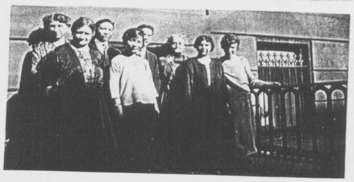 It also became evident that the survival of the mission and community center depended on Mabel Lee’s skills. The May 30th Movement erupted in China in the summer of 1925 while Dr. Lee was preparing to rededicate the Chinatown mission. She paused to write a letter of exhortation to the congregation. In it, she displays her love for China as well as a defense of Christianity in the face of increasing anti-Christian hostility in the movement. I’ve excerpted a selection below. [The entire letter can be downloaded at this link]. And all this leads to the thought that we need Christianity more than ever. It is the need of the whole world, as well as the particular nations and peoples. And it is the need of every one of us as individuals. For after all, a nation is only the sum of its individuals. We can never have a fine country if we do not have the right kind of citizens in it. Thus even at this time of excitement there is not only time for a gathering of Christians, but special need that we should thus come together to renew our faith and trust, and resolve anew that we will each be more worthy disciples in wining more to the gospel and spreading Christ. We might blame foreign governments and people, we may protest, and we may even shed blood. But China can never be strong unless she has the right kind of citizens. It is not only the enemy without. The enemy within is ever more dangerous. And the only way we can really conquer is through the heart, by putting Christ within. It is not the nationality which counts. Not all Chinese are to be trusted, and not all foreigners are anxious to crush us. We have many foreign friends who are very anxious to help us win our rights. The difference lies in the fact that they have Christianity in their hearts. And in some foreign governments, the citizens are so much interested in seeing that we have fair play, that they have persuaded their governments to reflect and sponsor their individual opinions. Let us therefore not forget the significance of our work in the Mission. It may seem very small, but the influence is very vast. Every little we put in counts. “We must be militant” as your chairman once said to me, in our work. That we because of new realization rededicate ourselves to our tasks, that every boy who comes into the Mission will be made to know Christ. Christianity is the salvation of China, and the salvation of the whole world. Nationality does not divide us for we are one at heart. Let us pray that China will be for Christ. It’s likely that Mabel Lee’s interest in China never waned. But I found no documentation about her thoughts about the Communist victory in 1950. In any case, she dedicated the rest of her life to the small church and community service center where she undoubtedly influenced the growing population of children and families in New York’s Chinatown. See biographies of Margaret Chung (1889-1959) and Anna May Wong (1905-1961). Judy Tzu-Chun Wu, Doctor Mom Chung of the Fair-Haired Bastards: The Life of a Wartime Celebrity (Berkeley: University of California, 2005) and Graham Russell Hodges, Anna May Wong: from laundryman’s daughter to Hollywood legend (New York: Palgrave Macmillan, 2004). Virginia Lieson Brereton, “United and Slighted: Women as Subordinated Insiders,” in Hutchison, William R. Between the Times: The Travail of the Protestant Establishment in America, 1900-1960. (Cambridge, UK: Cambridge University Press, 1989): 143-167. Timothy Tseng, “Unbinding Their Souls: Chinese Protestant Women in Twentieth-Century America,” Women and Twentieth-Century Protestantism edited by Margaret Lamberts Bendroth and Virginia Lieson Brereton (Urbana and Chicago: University of Illinois Press, 2002): 136-163.